Rarely available in the West End! 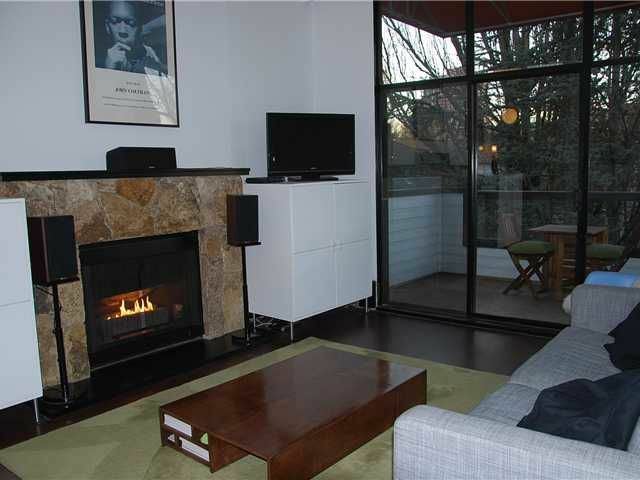 With 12 ft ceilings, this 1 bedroom PENTHOUSE features a fully renovated kitchen & bathroom. With espresso laminate floors throughout the suite, it also boasts a spacious dining/living area with a stonefaced gas fireplace. The bedroom will easily accommodate a queen sized bed & the small walk-in closet is an added bonus. Its oversized south facing balcony is perfect for entertaining. Recent BUILDING UPGRADES include rainscreening, new awnings & new balconies. AMENITIES include shared laundry, sauna & fitness room. The suite comes with 1 parking, 1 locker PLUS a built-in european style washer/dryer unit. PETS & RENTALS permitted. Easy to show, call for an appointment!